There’s a bit of mystery surrounding what makes a great lager. What makes a great lager? I wish I knew for sure. It’s a bit tricky. Lagers are renowned worldwide for their drinkability, their simplicity and — perhaps unfairly — their mediocrity. They are the beers your sports-loving uncle drinks. They’re the cheap pints, and the cans that scream ICE COLD, and the tallboys you shot-gunned in university. But where do they fit in the craft beer sphere? People who drink lager rarely want to think about what they’re drinking with any sort of depth. It’s generally a means to an end, the end most often being refreshing relaxation. Thus, it would seem a great lager would be a drink that most effectively accomplishes this, without too many frills distracting the drinker. With that in mind, craft beer brewers and drinkers alike tend to enjoy a beer which pushes the envelope a bit, maybe adding a new dimension to a well-trodden style. Is a great lager one that sticks to the formula closely, and pulls it off well? Or is it a beer that seeks to transcend its rather narrow niche and break new ground? 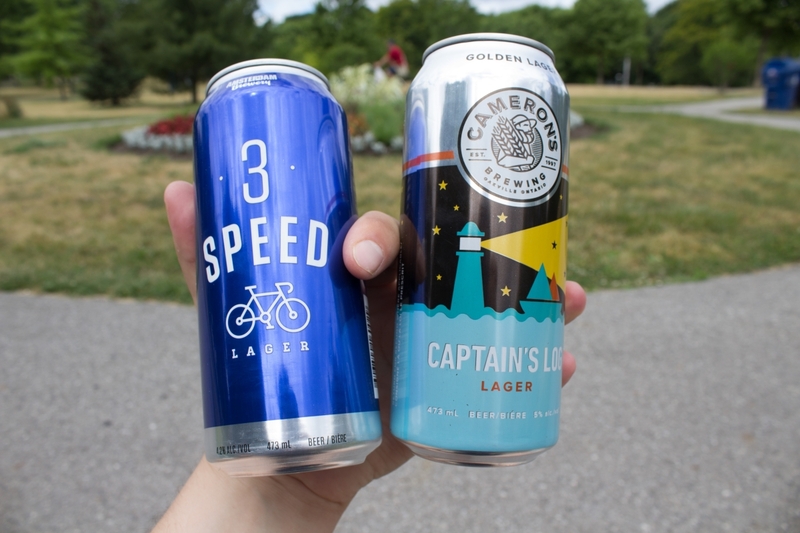 I put two Ontario lagers that I’m quite fond of – Amsterdam Brewery’s 3 Speed and Cameron’s Brewing Captain’s Log – head-to-head to see what makes them great. They couldn’t be more different as lagers. 3 Speed is a light American-style, Captain’s Log a more hoppy European style. But they’re both good – and here’s why. A light American-style lager – the description doesn’t exactly send shivers of excitement down my spine. But that’s not what it’s supposed to do. 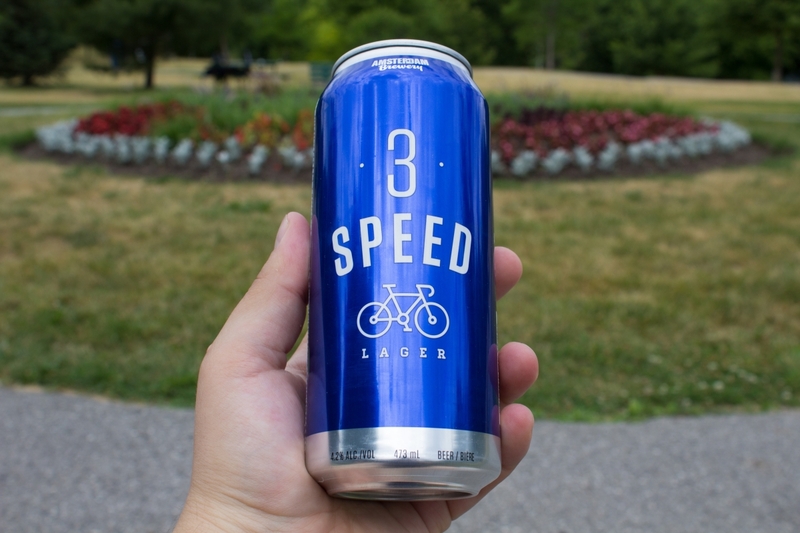 3 Speed is a workhorse beer, one that can be consumed in larger quantities with less consideration than even their highly sessionable Cruiser. Everything that your Uncle loves about his evening “cold one” can be found in 3 Speed. A pleasant sweetness, vibrant carbonation, crisp finish, and only the lightest touch of bitterness to remind you it’s beer you’re drinking. But 3 Speed pulls it off a little better than most macro domestics. It doesn’t have that corn-syrupy sweetness of Molson, and it has a bit more character and flavor than other light beers like Bud Light. In other words, Amsterdam has deftly made a light American lager that doesn’t need to sacrifice taste entirely for drinkability. It goes down as easy as any, but there’s just a bit more substance for those that care for such things. If you’re as sick of crappy Euro-lagers like Stella as much as I am, you might be a little jaded. 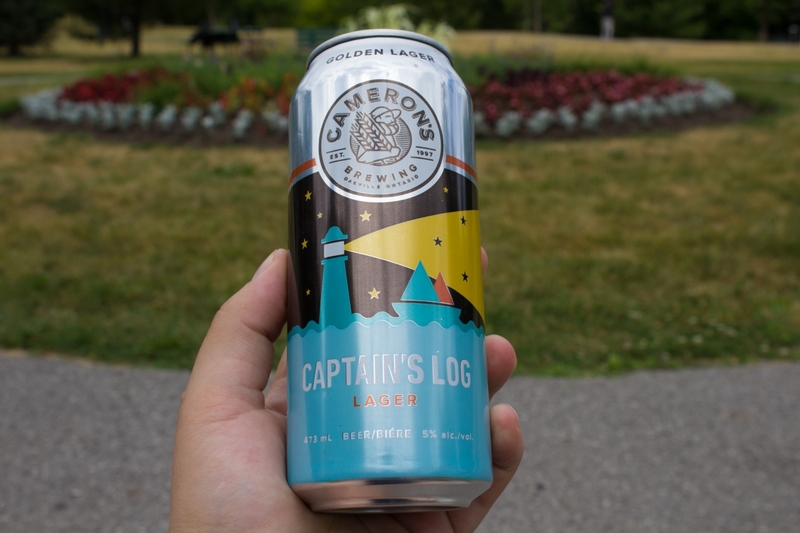 Cameron’s breathes some life into the style with their Captain’s Log lager, a wonderfully aromatic, richly-flavoured lager that breaks the mold a bit, while sticking true to its roots. Far more aromatic than the 3 Speed, Captain’s Log will turn away hard-core Bud drinkers way faster than 3 Speed would. But it balances its floral notes with a nice malt backbone, and a finish that doesn’t stray into bitter territory. Captain’s Log has the potential to convert lager-only drinkers into a broader array of styles, but it might alienate some who would appreciate the improvement of 3 Speed, but would be put off by something too different. All-in-all, I thoroughly enjoyed Captain’s Log, and it was a refreshing change from the general lineup of golden lagers I’m exposed to. It is possible to make a great lager, but the style is certainly harder to quantify than other types of beer. It comes down to a choice – do simple, traditional, and formulaic well with extreme consistency, or bend the rules a bit and bring something a little different than what you’d expect. No matter what you prefer, I can definitely recommend Amsterdam’s 3 Speed or Cameron’s Captain’s Log. Both are lagers I definitely think are worth sipping slow.